A co-worker of mine found this on pinterest so I had to order one. This shirt is perfection. 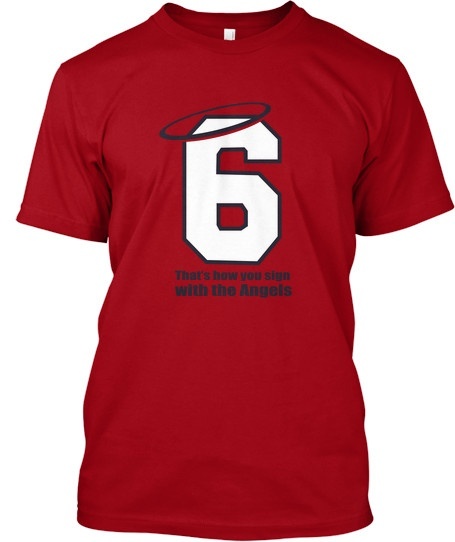 A salute to “The Man” and a swipe at Albert. Best of both worlds. Clinic records suggest Alex Rodriguez purchased HGH as recently as 2012; other players named | HardballTalk. I would say that this is a “bombshell”, but it anything really a bombshell anymore when it comes to PED’s? It’s still just as it has always been. The users are still staying one step ahead of the testers. As long as they are able to, players will cheat to gain an advantage. If Larry “Bud” Selig was really serious about cleaning up the game, the penalties would be much stiffer. It’s about risk/reward. Players are not afraid of getting caught because the suspensions aren’t very severe. If a player has an opportunity to maximize their earnings, and make an extra $10-$15 by cheating and the risk is being suspended for 50 games the player is more likely to cheat. If that same player has to risk a lifetime ban for taking PED’s, I think they would think long and hard about that before subjecting themselves to doping. Pardon me for the next few days when I pay tribute to the greatest player for the number one love in my life, the St. Louis Cardinals. For those who don’t live in St. Louis there really is no way to describe the love affair between city and person. It’s hard to describe the emotion felt simultaneously from 50,000 fans anytime he would be whisked into Busch Stadium to smile and wave to the fans. You can feel the emotion here http://www.youtube.com/watch?v=YgAwg8QwLes Stan was an icon and was loved by everyone in our baseball crazed city. 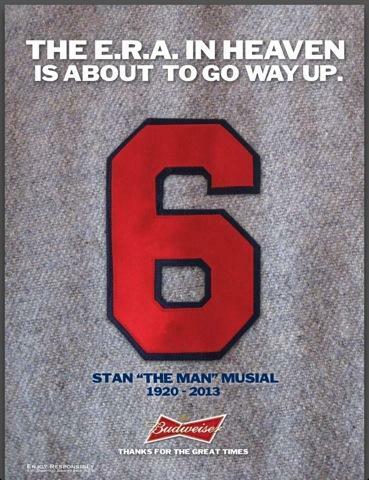 I can honestly say that I have never heard a bad thing in my life about Stan Musial. And I have been hearing stories about him my entire life. Between my father and my grandfathers I was told about his greatness from a very young age. His greatness to me is defined by a mixture of hall of fame worthy statistics, and being a hall of fame worthy human being. I have read and heard so many stories the last few days about his character and how great of a person he was. You can find examples of those all over the internet. I am going to honor this legend with the story of the one time that I personally met “The Man”. When I was 14 years old Stan Musial was signing autograph’s one Saturday morning in the St. Louis Galleria. I waited in a long line to get it, but it was well worth the wait whenever it was my turn. “The Man”: you a ballplayer? “The Man”: atta boy!! what position do you play? I won’t go into the whole conversation because I honestly don’t remember all of it but he asked my 10-15 questions about baseball and left me with the advice to always “get my uniform dirty”. For those few minutes I was standing with one of the great baseball icons and he was the one making me feel important. There just aren’t many like Stan Musial out there. I am glad that I got the opportunity to meet “The Man” and I am glad he was ours. 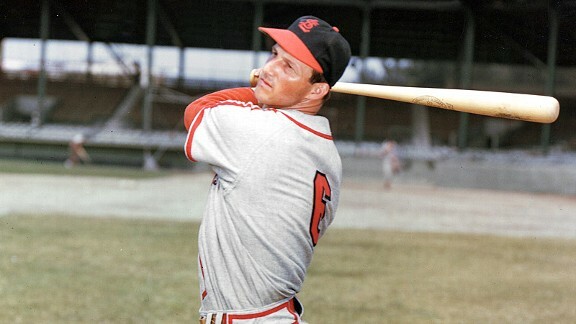 St. Louis Cardinals Hall of Famer Stan Musial dies at age 92 – ESPN. Sad day in St. Louis. I don’t even know what to say yet. The greatest player of my favorite franchise has passed away. There will definitely be more to come from me regarding Stan The Man Musial.